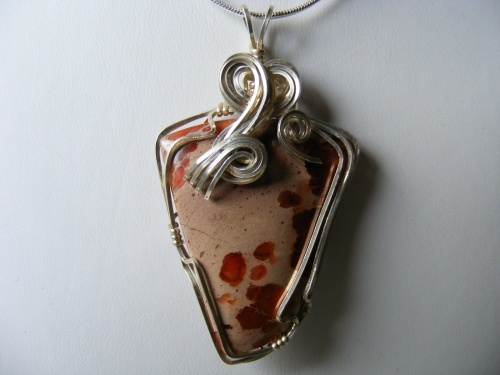 This Jasper pendant is very unusual with its dots of rust color sprinkled across the beige background and gives the stone a very unique and one of a kind look. Sculpted with a bow like sterling silver design all done by hand. Piece measures 2" from top to bottom and 1 1/4" wide.